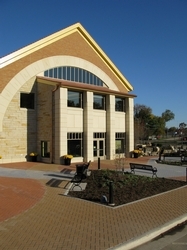 Concrete pavers are becoming a popular choice for both residential and commercial pool patios. 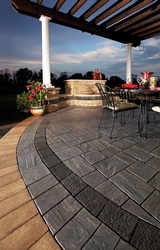 In addition to being beautiful and durable, concrete patio pavers are highly slip resistant, making them a great investment for families with children. There are also many choices for the size, shape, and color of your pool patio pavers, allowing us to precisely match the design of your pool and landscaping. Ask about using concrete pavers in your next construction or renovation project with Spring's Pools and Spas. The best in concrete paving stones. Unilock Select line of products are engineered for performance. 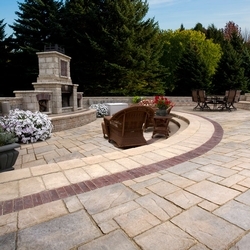 With their weathered appearence, tumbled pavers have become North America's favorite interlocking paver. Engineered to assist the earth in its natural restoration process. These pavers started it all. Their classic, timeless beauty has been chosen by millions of people for over three decades.